Intel's 8th Gen processors let you have amazing gaming, entertainment and VR experiences. The i3 8350K processor extends all the capabilities that users love from previous generation CPUs with even more advanced innovatations that deliver new levels of performance immersing you into your computing on a veriety of form factors. The 8350K features all the latest Intel technologies to allow you to have the best computing experience ever, and this particular CPU is unlocked allowing you to overclock it to your gaming or production needs. 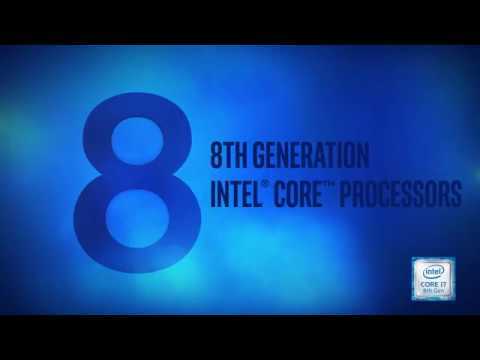 The 8th Generation Intel Core processors redefine mainstream desktop PC performance. The i3 8350K features six cores for more processing power—that’s two more cores than the previous generation i3 processor. The Unlocked feature on this chip allows for overclocking allowing you to tweak the performance. Intel Turbo Boost 2.0 technology has also increased the maximum turbo frequency of 4.3 GHz, and up to 9 MB of cache memory. If you're not an enthusiast, dont worry there is a locked 8th Generation version of this chip, the i3 8100 processor that allows you to still enjoy excellent gaming and VR experiences. Desktop computers based on the 8th Gen Intel processors integrate advanced media technologies that bring premium, high-quality content to your desktop, including HEVC 10-bit encode/decode, VP9 10-bit decode this delivers smooth streaming of premium 4K UHD entertainment to your PC from leading online providers. The Intel i3 8350K provides full-size, screen-immersive viewing experiences with 4K video and 360-degree viewing, Enables incredible 4K video creation and sharing with ease, and it finally allows High Dynamic Range (HDR) and Rec. 2020 (Wide Color Gamut) for life-like luminesces to provide enhanced image and video viewing experiences. Intel® Quick Sync Video technology accelerates most video capabilities, allowing users to create and share in real-time. The 8th Generation Intel Core processor family is a great investment in your desktop experiences—whether for gaming, entertainment, or general-purpose computing wherever your life takes you. From the jaw-dropping performance of the Intel Core i7 processor with six cores to the practical capabilities of the Intel Core i5 processors, our latest generation of desktop processors fits a wide range of budgets and needs. Whether you’re a performance-hungry professional, an exceptional enthusiast, or a first-time buyer, there is an 8th Generation Intel Core processor that will enable the experiences you seek. If form factor is your priority, the 8th Generation Intel Core processor family offers a range of processors designed for desktop PCs from highperformance gaming towers, to slick and stylish all-in-ones, to compact living room minis. When unlocked processors can be set to run at frequencies above the specification frequency of the processor resulting in higher performance. Increases periods of silicon sleep state across the platform ingredients, including the processor, chipset, and third-party system components, to reduce power. reading your description and info on the above processor it seems to have conflicting information. as per below im unsure if its 4 or 6 cores??? 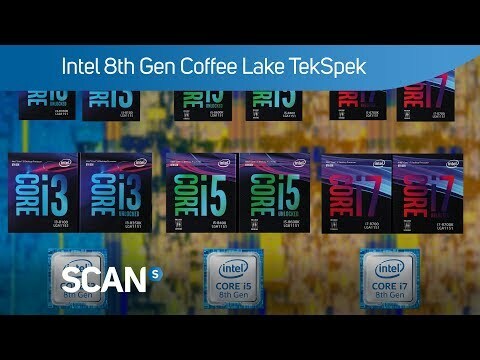 Intel Core i3 8350K, S 1151, Coffee Lake, Quad Core, 4 Thread, 4.0GHz, 8MB Cache, 1150MHz GPU, 91W, CPU, Box The 8th Generation Intel Core processors redefine mainstream desktop PC performance. The i3 8350K features six cores for more processing power&mdash;that&rsquo;s two more cores than the previous generation i3 processor.